Originally published in the People + Strategy Journal, Vol. 39 Issue 4 (Oct. 2016). Perspectives is a recurring column within the quarterly journal edited by Dr. Anna Tavis. Bernstein’s writings on privacy and personal data reminded me of the unintended paradoxes that can sometimes result from product innovation and design. Much like in his article, “Big Brother Vs. Personal Data Fusion,” where he offers the example of modern CRMs—that come with the promise of delivering more useful and transparent data to sales organizations, but may in reality encourage secrecy in the salespeople they were designed to assist—we found a similar paradox in our study on workplace flexibility. When we surveyed over a thousand working professionals on their work-life balance, telecommuting arrangements, and wellness benefits, we found that one in three working Americans felt obligated to answer work-related calls and emails past regular working hours. With the company-issued smartphone tethering modern-day workers to the virtual desk, it appears that time saved by many employees from using the technology initially designed to make work and life more efficient, often ends up overtaken with more work. However, it is important to note that it is the person who, shaped by their culture and standards of practice, decides to rededicate those hours to work, and not the innovation itself, that causes the paradox. As human capital software and service providers, we at CareerArc think about these types of decisions every day. Developing technology for people who manage teams, recruit talent, and transition employees, we build each new product platform or feature with a people-centered approach to design. 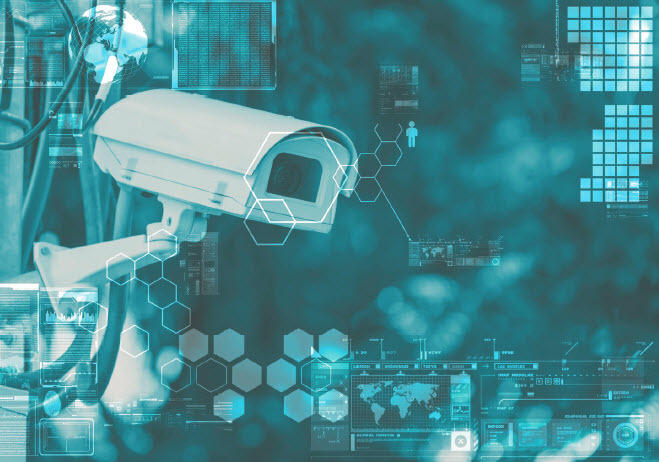 An area we have applied this focus is one where technology actually supports the human instinct for privacy and safety, and that is in our approach to modern outplacement. benefit from assistance. We immediately saw the need for a tech solution that could impact more people. Designing with our end-user—the exiting employee—in mind, we aimed to correct the two design flaws in the brick-and-mortar approach that were similar to the flaws Bernstein found in many data and enterprise tools today: the neglect of the human instincts for safety and privacy, and the omission of choice (forced opt-in, and so forth). The core issue here is trust—the real currency in today’s increasingly connected and surveilled work life. Knowing job loss and career transition can be one of the most challenging moments in a person’s life, we learned through customer interviews and feedback that privacy, safety, and autonomy were very important for those undergoing this change. By delivering career assistance content and virtual coaching through an online platform, we strived to create a safe space for these new job seekers to brush up on their resume writing and interviewing skills, take self-assessment tests, explore new career interests, and even video chat with a coach all in the privacy and convenience of their home. Most importantly, users are given full autonomy over their time and priorities; they decide what to do first, when to do it, and whether to opt-in at all. Through this approach, we are seeing employees land jobs three times faster than the national average time it takes to find employment. Whether it’s moving from an offline note-taking system to the sales CRM in the cloud, or transitioning from face-to-face outplacement models to on-demand video sessions with a career coach, the core issue here is trust—the real currency in today’s increasingly connected and surveilled work life. Personal data fusion, a system that can strike that perfect balance between data privacy and transparency, is possible only when products are designed to respect, not correct, human instincts for privacy and safety. Robin D. Richards serves as chairman and CEO of CareerArc, a leading HR technology company powering employer branding solutions that help business leaders recruit and transition the modern workforce. Robin D. Richards, Chairman and CEO of CareerArc, shares his thoughts on how data transparency and privacy intersect in enterprise software development.